Traditional Chinese Medicine (TCM) is the indigenous medicine of China, which developed over the last 5000 years. 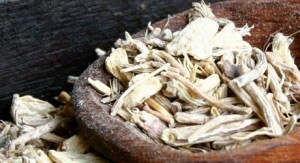 It employs three main methods/therapies to restore health to patients: herbal medicine, acupuncture, tui na (massage). While it is acupuncture that has usually grabbed the headlines here in the U.S., it is actually herbal medicine that is considered the primary method of treatment by the Chinese themselves; at least in so far as TCM is concerned. All three therapies in TCM (herbal medicine, acupuncture, tui na) are based on the same fundamental theories. It is this sophisticated theory that helps make Chinese herbal medicine so successful. Pattern Discrimination: What is it? Most people who want to take an herbal remedy ask a question something like this: What herb can help my X (x being whatever problem they have)? This implies a single remedy for a single problem. For example, if you have gout, get some sour cherry juice. If you have a urinary tract infection, take a cranberry pill. If you have inflammation take curcumin, for liver problems take milk thistle and artichoke. Its not that this is bad per se. But it could be better. How so? Ah, that is where pattern discrimination comes in. Let’s say you go to your doctor because of headaches. It is his/her job to figure out the cause of the headache. If you had neck tension that is severe, maybe a muscle relaxer helps. If you had migraine, maybe Imitrex helps. But what if the problem is bacterial meningitis? You can’t treat that with a muscle relaxer or migraine medicine; you need antibiotics instead. The point is that there is not ONLY ONE remedy for headache. Rather, there are many. And finding the right one will depend on getting the correct diagnosis. A pattern discrimination is a similar thing. When you come into our clinic for a visit, we must determine which ‘pattern of imbalance’ is specifically causing your symptom. Only after this is done can a Chinese herbal remedy be chosen. Let’s look at an example to make it easy for you to really grasp. Once you have this example stored in your memory, then you will be able to know about Chinese medicine on a deeper level. Two patients come in complaining of low back pain. Let’s call them Larry and Sally. Larry has pain that came on suddenly. He thinks it started when he did some extra yard work a couple days ago. Now it aches and he notes that it improves once he gets moving. But pressing on the area or massaging it aggravate it. Sally on the other hand has low back pain that came on slowly over time. It started as a mild little ache, but in the last two years it has slowly gotten worse. It seems better when she rests, and she notices that it is worse by the end of the day. Sally says that her back ‘feels weak’. Obviously Larry and Sally are experiencing two very different sets of symptoms. In fact, two patients like this came into the clinic. And, as you might guess, they received two different treatments. The point is that to treat a patient, we look at more that just the chief complaint. In fact, the chief complaint is only meaningful when it is seen in the context of all the other signs and symptoms the patient has. When all this information is woven together, it forms a ‘pattern’, and this pattern will direct the practitioner to the correct herbal formula. CAN HERBS REALLY BE EFFECTIVE? Chinese herbs can be VERY effective. Just like anything else, they will not work 100% of the time, nor can they cure every disease known to man. But they often can have a significant beneficial impact, sometimes even when other therapies have failed. And the effects can be quite noticeable to the patient. A few months ago, a woman came into the clinic because she had a severe yeast infection with vaginal itching, discharge, and was constantly feeling uncomfortable. 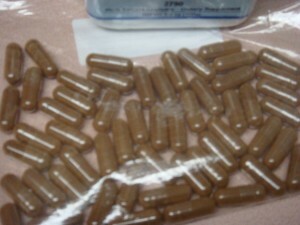 She had taken prescription drugs for some time, and they had given no relief. The herbs we gave her began to give relief within a day, and 3 days later she felt about 75% better. By the end of one week the yeast infection was eradicated. Another great example is a patient who came in with significant fatigue. After one week of herbs the fatigue had vanished. Not all cases are that simple however. People with more signifcant problems such as fibromyalgia, CFIDS(chronic fatigue syndrome), or conditions like lupus, may take longer to get reasonable results. Chinese herbs do not work by magic. They take time and care. And, in some cases, even the best crafted formula can fail. Suffice it to say, Chinese herbs offer people a multitude of opportunities to improve health and well-being through real mechanisms of action on the body.